For millennia, "the North" has held a powerful sway in Western culture. Long seen through contradictions empty of life yet full of promise, populated by indigenous communities yet ripe for conquest, pristine yet marked by a long human history it has moved to the foreground of contemporary life as the most dramatic stage for the reality of climate change. 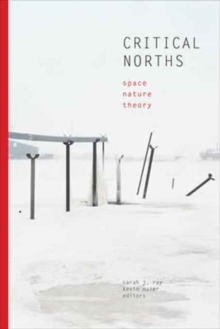 This book brings together scholars from a range of disciplines to ask key questions about the North and how we've conceived it and how conceiving of it in those terms has caused us to fail the region's human and nonhuman life. Engaging questions of space, place, indigeneity, identity, nature, the environment, justice, narrative, history, and more, it offers a crucial starting point for an essential rethinking of both the idea and the reality of the North.